We’ve been notified that the MCSL is looking to update their logo to commemorate their 60th year. Please see the following information as provided by the MCSL Board. Good luck to all who provide entries, we look forward to seeing the winning design! The Montgomery County Swim League is turning 60! To honor this occasion, we are soliciting designs for a new logo. Designs submissions are due December 31, and a winner will be chosen by January 15. Please let your team families know of this exciting opportunity to participate in this contest. 1. The contest begins on November 4, 2017. Submissions will be accepted through December 31, 2017. 2. Entrants must be members of, or associated with, the MCSL community. 3. All entries must be submitted directly to MCSLlogocontest@gmail.com as a high resolution .pdf, .jpg, or .gif. 4. No more than three entries per person are allowed. 5. The winner will be contacted directly, announced on the MCSL website, and emailed to the team’s reps.
• This logo will be featured on our website, handbook, social media platforms, t-shirts, and other mediums. The logo should be interesting and legible. 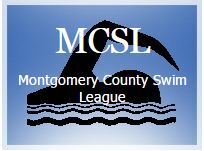 • The Montgomery County Swim League (MCSL) sponsors competitive swimming and other activities among the swimming pools and organizations in Montgomery County, Maryland. 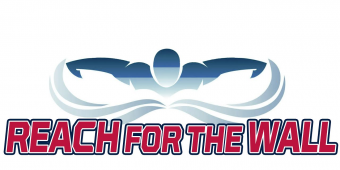 The goals of the program include helping young people establish a love for the sport of swimming, advanced aquatic skills, teamwork, and the principles of good sportsmanship. The logo should reflect these goals and activities. • Logos should not contain copyrighted material. Logos must have been created and edited by the contestant and must be easily reproducible and scalable for large and small formatting. The MCSL Board will select the winner by January 15, 2018. Contestants will agree that MCSL will publish their logo and name(s) and will use the logo for marketing materials and advertising campaigns until the Board deems a new logo is necessary. Contestants assign all ownership rights and intellectual property rights of the logo, to MCSL. Additionally, MCSL may alter, modify or revise the logo as it deems necessary. The winner of the MCSL 60th Anniversary Logo Contest will receive various items with the logo such as a t-shirt and other small items (such as car magnets, stickers, etc) as produced by MCSL.